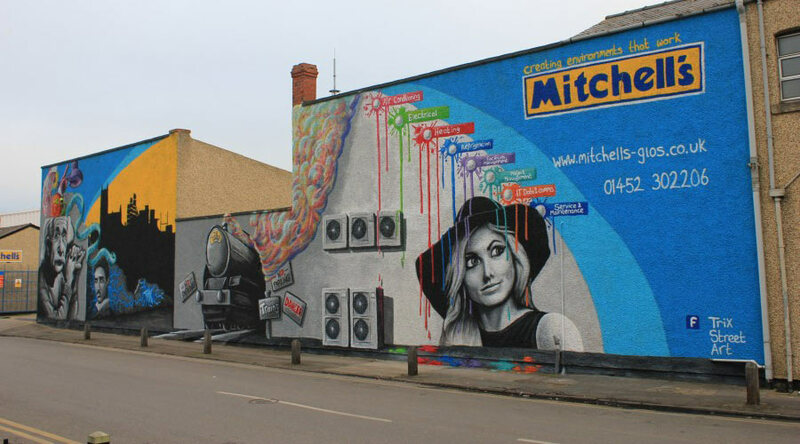 At Mitchell’s we take pride in the fact that we are able to offer such varied and comprehensive building services to our customers. We’re truly a one-stop shop offering turnkey solutions to our clients. Whether you need assistance wiring a new property, repairing heating and cooling systems or installing complex IT networks – we can get the job done for you on time and according to budget. And that’s just a brief glance at the work we can carry out for you. If it’s related to operating and maintaining your property, then chances are we have the experience, qualifications and credentials needed to get the job done right. But our soaring popularity with local property owners and business operators has allowed us to invest heavily in our own facilities and service vehicles. As a result, our service area is growing fast. Draw a 50-km radius around Gloucester, and you’ll have our standard service area – but we’re equipped to venture further afield than that. If your property is located in South West England and you’re in need of construction services, building contractors or project management solutions – give us a call on 01452 302206. To be fair, there are plenty of contractors and commercial builders with multiple areas of specialisation in our service area. But we’re much more than a ‘jack of all trades’ for the clients that we serve. Instead, we take a holistic, start-to-finish view of each project we work on – ensuring our clients receive nothing short of the best-possible solution for their situation. Much of the work we accomplish begins in the design phase. We do our own drafting and design work, and then work to these drawings. As a result, our clients receive tailored solutions for their building projects that they aren’t able to find with other providers. Furthermore, we are able to go above and beyond the provisions of most building services providers by offering complete mechanical and electrical packages that are backed by a fully operational service department. We can even provide project management services. Thanks to Mitchell’s, your life is about to get a lot simpler. Leave the commercial building services to us so that you and your team can give your full attention to your own business operations. From construction projects to remodelling and routine maintenance – the experts at Mitchell’s are standing by to assist. Contact us today to find out more.